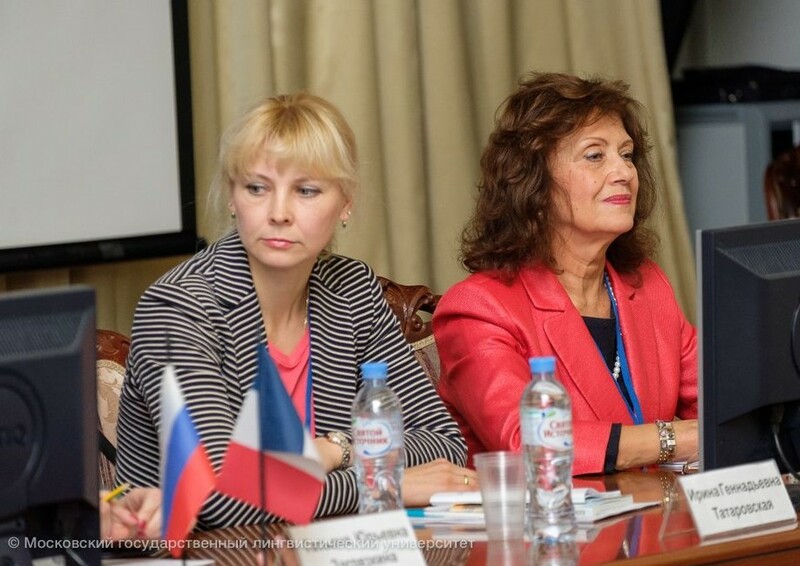 18-20 October 2018 International Scientific and Practical Conference "Romance studies in the era of multilingualism"
On 18-20 October International Scientific and Practical Conference "Romance studies in the era of multilingualism" was held in Moscow State Linguistic University. At the plenary meeting senior researcher of the Center of History and Cultural Anthropology, Institute for African Studies of the Russian Academy of Sciences, Ph. D. Irina Tatarovskaya presented a report titled "The history and geographic spread of the African Lingala language and its interaction with the French language." More than 200 scholars from the leading universities of Russia, Italy, Belorussia, Croatia, Georgia and Canada took part in the conference. Representatives of the embassies of France, Italy, Spain and Portugal also presented their reports. During the conference 11 sections were working. The participants' studies were devoted to the history of learning Romance languages, modern methods of teaching Romance languages in the era of multilingualism and current issues of Romance studies in the modern world were discussed at the conference. Part of the reports was devoted to French-speaking Africa.